Last week I was at two conferences that focused on US – Canada trade issues. I attended the Can-Am Border Trade Alliance conference in Washington, and then I spoke at the Canadian Inland Ports Conference in Calgary. Of course the current negotiations on updating NAFTA was a major topic of discussion, both during formal presentations as well as in conversations with those attending the conference. Everyone agreed that overall NAFTA has contributed greatly to the economies of all three countries. By working together, we have been able to capitalize on each country’s strengths to be more competitive in a global economy. As such, supply chains have become intertwined to such a degree that it would be very difficult and quite likely economically damaging to withdraw from NAFTA. Agriculture has benefited greatly from NAFTA. Canada is the number one export market for US farm products. Mexico is not far behind. 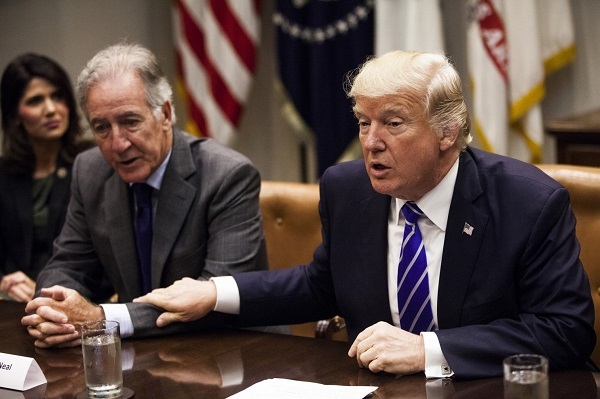 One member of Congress indicated that agriculture groups have been some of the most effective in sharing the message of NAFTA’s benefits throughout the negotiations. The Business Council of Canada created a terrific web site that shows just how far-reaching US – Canada trade is, and the direct impact it has nationwide - http://thebusinesscouncil.ca/canada-us-partnership/ . You can click on any state or congressional district in the country and get information on that areas exports to Canada, as well as the number of jobs created and companies with Canadian roots. Just looking at the Ports-to-Plains districts you can see that trade with Canada is important to the whole corridor. Montana, which borders Canada, exports $669 million annually to our northern neighbors. But the Texas 11th Congressional District represented by House Ag Committee Chairman Mike Conaway exports $644 million annually to Canada. The automotive industry has a very integrated supply chain, and one would expect that Michigan, home of the US auto industry and located on the border close to major Canadian population centers, would have strong numbers. They do, exporting $24.6 billion annually to Canada. However, even though Texas is located on the southern border with Mexico, it exports $24.1 billion annually to Canada. For those of us in rural agriculture and energy producing regions, we know that trade is vital to our economies. Both conferences highlighted the importance of safe, efficient borders and quality infrastructure to facilitate the movement of this trade. I was excited to highlight the important role that the Ports-to-Plains Corridor plays in improving North America’s prosperity and competitiveness. 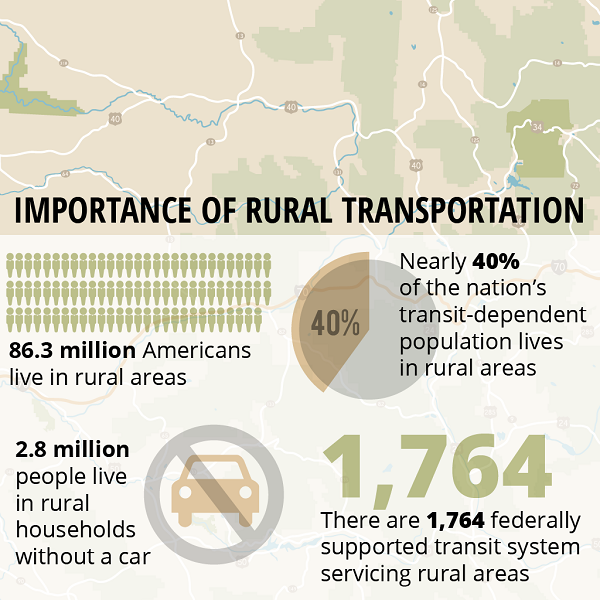 On October 3, 2017, the Federal Highway Administration (FHWA) published an article and infographic titled the “Importance of Rural Transportation” in its Tuesday Transportation release. The title grabbed our attention as advocates for rural transportation. Once it was pulled up on a computer, it was very disappointing that the infographic was created with a very narrow scope. While transit is certainly important to rural transportation, the narrow scope left major roles of rural transportation unaddressed. The rural transportation system connects the nation’s natural resources largely available in rural areas to consumers within urban areas. Food, fiber and fuel are developed and moved from rural areas to urban areas by rural transportation corridors. Be it agriculture, conventional energy or renewable energy, the products and the people developing and producing those resources rely upon a robust, safe rural transportation system. The rural transportation system is a key component of everyone’s day as they consume food, use energy, and travel across the country. The rural transportation system is important to everyone, whether they live within a large city or a rural area. The Texas Freight Mobility Plan 2017 is now available online for public review and comment. 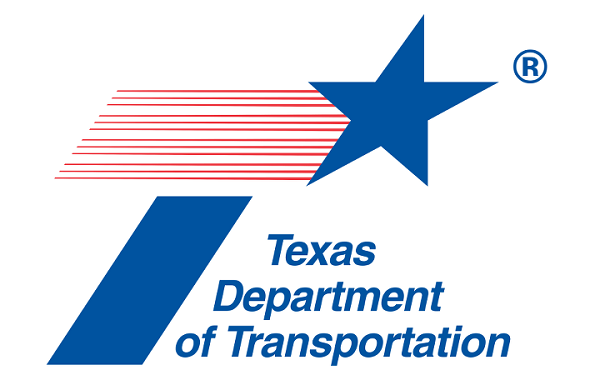 The Texas Department of Transportation (TxDOT) wants to hear from public and private freight industry stakeholders, and all interested parties, to ensure the updated plan captures the state’s freight needs. The Texas Freight Mobility Plan 2017 is available for review HERE. The Colorado Department of Transportation has initiated the State Highway 71 Truck Freight Diversion Feasibility Study. 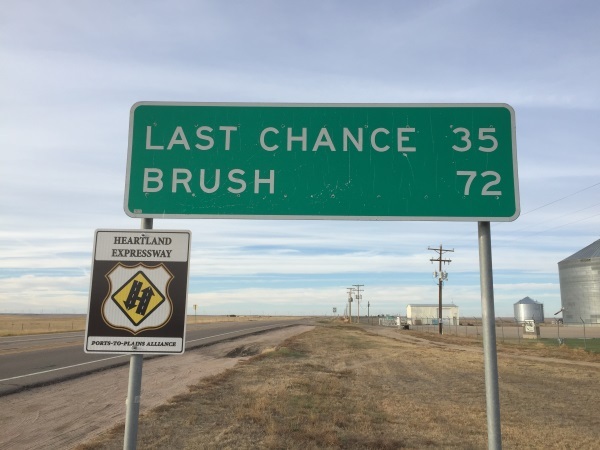 Highway 71 between Limon and the Colorado/Nebraska state line including Brush was designated by Congress as a portion of the Heartland Expressway. This Heartland Expressway segment is a portion of the Ports-to-Plains Corridor that exists across nine-states between Mexico and Canada. State Highway 71 is the only segment of the Ports-to-Plains Corridor in Colorado that remains unimproved. 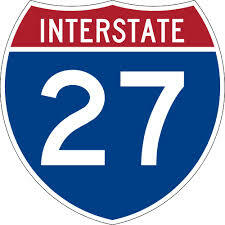 The study’s purpose and objectives are (1) Analyze freight movement and impact of SH 71 improvements on truck traffic; (2) Identify the types and cost of improvements to SH 71 that will draw additional truck traffic; (3) Determine the potential economic benefit to the trucking industry and local economies; and (4) Develop funding options and implementation scenarios. The study kicked off with a Stakeholder’s Meeting held on Tuesday, October 3, 2017 in Brush, CO. Public participants from along the corridor included Dave Stone, Town of Limon; Joe Kiely, Ports-to-Plains Alliance; Travis Taylor, Lincoln County Extension; Kipp Parker, Veris Environmental; Cathy Shull, Pro 15; Monty Torrez, City of Brush; Melody Christensen, Brush Chamber of Commerce; and Jim Zwetzig, Morgan County. The public participants were joined by many from the Colorado Department of Transportation and WSP, the consulting company who will carry out the study. The project schedule projects the final report to be complete in April 2018. Major parts of the study include modeling to create a long-term analysis of potential truck diversions between SH 71 and Interstate 25 and applying that modeling to six scenarios of improvement packages for SH 71. The implementation plan will develop rating criteria for potential improvements, cost estimates for the top ten rated improvement packages, and prepare funding options and scenarios. Numerous opportunities for improvements will be explored including additional lanes, passing lanes, climbing lanes and safety as well as roadway improvement including shoulders, geometry and sight distance. Xcel Energy said a new wind farm in Hale County will help add enough wind-generated energy to the mix to meet about 40 percent of the region’s annual needs by 2021, creating savings for consumers, the company said Wednesday. In March, Xcel asked regulators to approve two new company-owned wind farms in Roosevelt County in New Mexico and in Hale County. The wind farms would serve customers in eastern New Mexico and West Texas and would provide enough energy to power 440,000 homes. Xcel anticipates regulatory approval next year. The company said adding wind power will displace the higher cost of generating electricity at older fossil fuel plants. 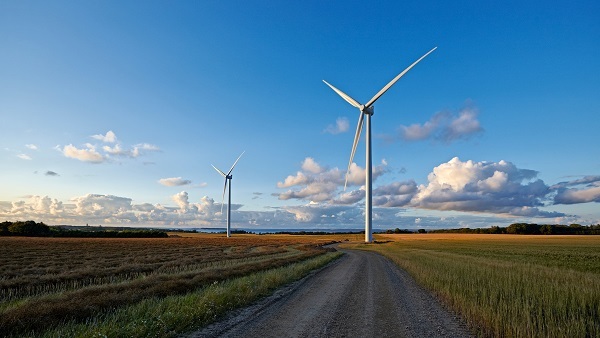 Xcel officials said construction of the new wind farms will cost $1.6 billion, and the company estimates saving $2.8 billion over the next three decades as energy production costs are reduced. In a statement, Xcel Regional President David Hudson said savings will be passed along to consumers in the form of reduced fuel costs. He also pointed to environmental benefits. “The new wind projects we are proposing will generate electricity as cheaply as our coal-fueled power plants without using precious groundwater or producing air emissions,” Hudson said. Congress has already designated the Ports-to-Plains Corridor in Texas as a High Priority Corridor on the National Highway System; and the Texas Department of Transportation published an Initial Assessment Report on the Extension of I-27/Ports to Plains Corridor in November , 2015 which stated: “The corridor will continue to be a critical link to state, national and international trade, growing population centers and critical energy and agricultural business sectors”.